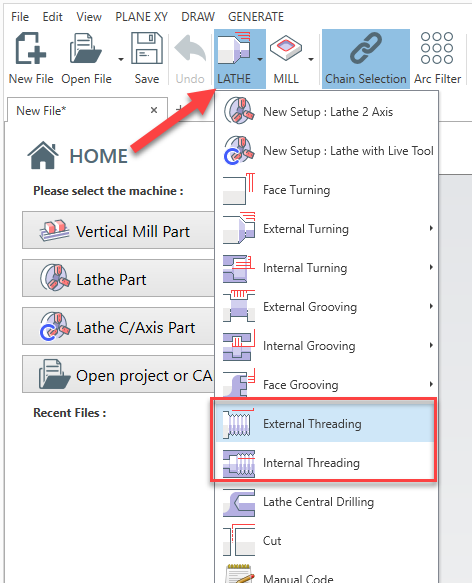 To add an threading machining operation , from MENU -> LATHE -> select EXTERNAL or INTERNAL Threading. In the screen below you can see requested parameter. 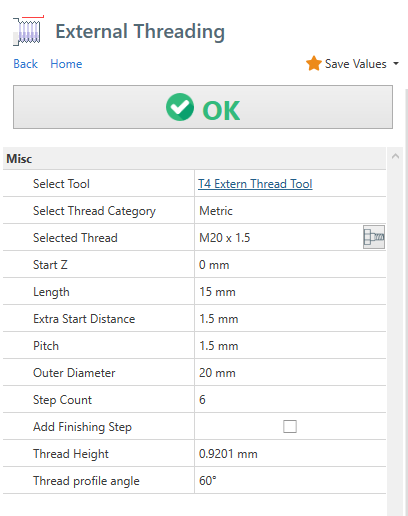 You can pick thread default data by selecting a thread category and then selecting desidered thread row from the dropdown property. After selecting desired thread, all related field are filled with default data from thread table. See related article below on THREAD TABLE to get more information . To customize the threding macro , edit the [Macro - Lathe Threading] template from post processor. Where i can find complete tag list ? Please consider which is also possible get simple movements instead of threading macro. This is useful when is problematic get a proper macro customization for the controller.